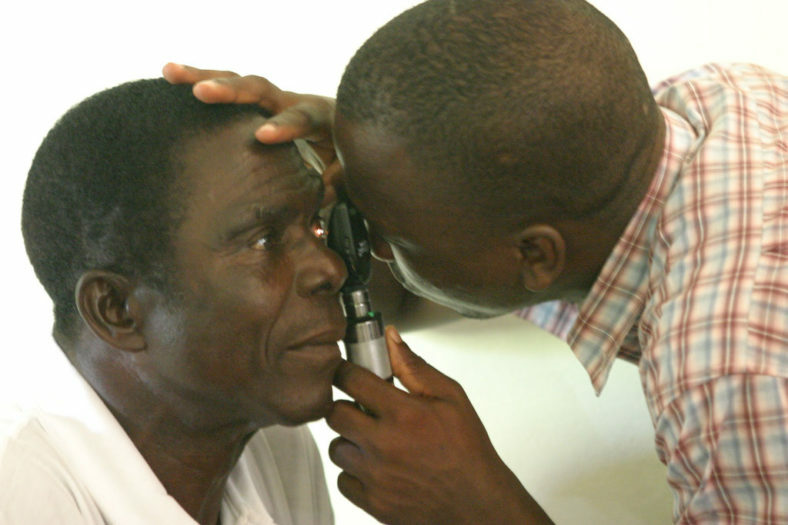 Global Eyeglasses, an international online eyeglass retailer, has made official its second charity partnership to provide prescription eyeglasses to the world’s poor. The newest partner for Global Eyeglasses is Unite For Sight, a prominent non-profit organization that supports eye clinics worldwide by investing human and financial resources in their social ventures to eliminate patient barriers to eye care. Wilmington, DE (PRBuzz.com) August 16, 2012 — Taking the second step in providing support for humanitarian medical relief, Global Eyeglasses, an online eyeglasses retailer has declared a new partnership with Unite For Sight. The goal of this collaboration is to provide the organization with 50 pairs of new prescription eyeglasses each month for donation. Monthly donations of prescription eyeglasses benefit those who live in poverty and have access to quality care through Unite For Sight’s programs. This is the second collaboration with a charitable organization that Global Eyeglasses has established recently. 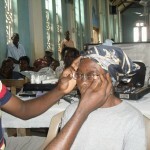 Global Eyeglasses has previously formed a partnership with New Eyes for the Needy. Global Eyeglasses is a growing international online retailer for prescription eyeglasses and sunglasses. Unite For Sight has expressed an especial need for distance eyeglasses. “We are very excited at the opportunity to partner with Unite For Sight,” says Global Eyeglasses PR representative, Nitasha Kukar. “This is an incredible opportunity to give back to the community. This is our second partnership with a leading charity, and we are feeling confident in the difference that we can make.” As per the specification that Unite For Sight sent out, Global Eyeglasses packages 50 custom-made eyeglasses to be sent out to a specific location each month. 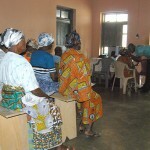 The first shipment will be sent to a volunteer who will deliver the eyeglasses to Ghana. Unite For Sight is an organization that works to overcome barriers to accessing necessary eye care. Programs include partnerships with local clinics to provide quality optical care with greater accessibility throughout the year. Rachel Turkel, Program Manager at Unite For Sight, defined the premise of the organization, “Unite For Sight supports eye clinics worldwide by investing human and financial resources in their social ventures to eliminate patient barriers to eye care.” By partnering with Global Eyeglasses, Unite For Sight expresses which types of eyeglass prescriptions are in the greatest demand and shortage, and Global Eyeglasses customizes each month’s selection to this description. This is an innovative organization that focuses its attention on a critical aspect of medical care that is inaccessible for many people around the world. 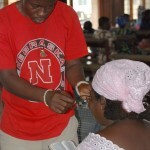 Ghana is an exceptional example of the eyecare crisis that impacts many people around the world. 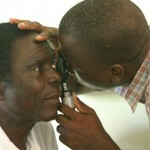 Over 200,000 Ghanaians are blind, and socio-economic conditions in the country make it impossible for many to access the care they need. Relying on their bodies to be able to do any work, this is a dreadful impediment with far-reaching effects. 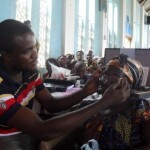 Ghana is just one evident example of critical eye-care issues around the world. In any situation where an individual’s damaged eyesight hinders their ability to work, there is the risk of entirely losing one’s income. Consider the family members and communities that rely on reliable workers to remain stable. Consider the emotional and social hardships that vision loss places upon an individual, especially when they can do nothing to get the aid they need. Support for organizations like Unite For Sight is crucial. “On a daily, year-round basis, Unite For Sight’s partner eye clinics bring exams, diagnosis, and treatment to patients living in poverty in rural villages, slums, and refugee camps.” When basic healthcare is not available, people’s health can ail without hope of recovery. 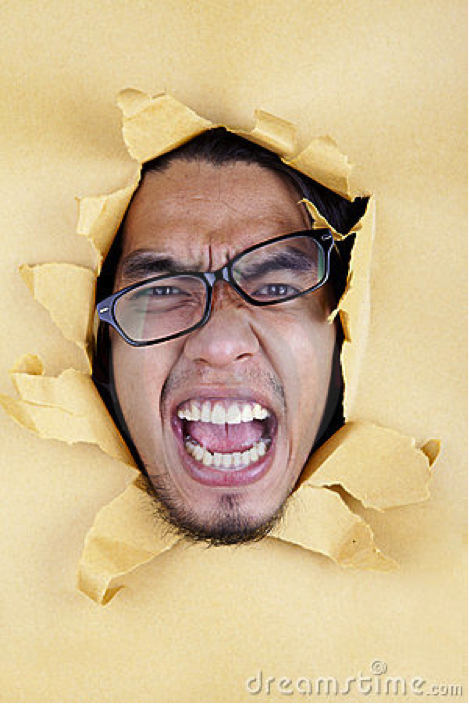 Global Eyeglasses is putting social activism directly on the company radar. The eyeglasses retailer has a significant presence on social networking sites like Facebook andTwitter, and regularly publishes blog RSS feeds that are followed by customers from around the world. 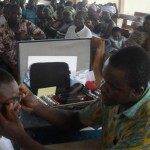 Turkel states, “Unite For Sight truly appreciates the generosity of Global Eyeglasses LLC to donate new distance glasses to patients living in extreme poverty in Ghana.” By taking the step in two exceptional partnerships with leading global eye care organizations, Global Eyeglasses is making the case that one company can make a significant difference. With large social media exposure, such initiatives encourage people to become educated in such critical issues and get involved themselves. By confidently asserting a second charitable partnership, Global Eyeglasses hopes to create a positive impact in peoples’ lives not only with the eyeglasses they sell, but in the services they give back. Partnerships with organizations like Unite For Sight and New Eyes for the Needy are cornerstones for other optical companies to join in helping communities of people who greatly need support and care.